And then you’ve kind of got what’s historically called the top agent in the market. And they’re the ones that are doing, you know, the lion’s share of the business. They’ve got 10 or 20 people working for them. And they’re great agents to but at the same time, you’re out always working with them. You’re working with the people on their team and their, you know, the way they have it set up. And we found no difference in terms of working with that two to 5%, or the top agent. As long as everyone’s motivated to do a great job. Hello, hello. Hello, and welcome to the upside podcast, the first podcast finding upside outside of Silicon Valley. I’m Jay Clouse, and I’m accompanied by my co host, Mr. A Berg’s Eye View himself, Erik Berg. Wait, that’s not me. That’s not you What’s going on? I am. But the nice thing is I’m going to be a fly on the wall because I’m going to get to listen to this interview, and pull out some of the questions that Eric asks and learn from them. I mean, I think back to the Ross buried VC mashup, and I still use a lot of those questions in our ongoing interviews. Yeah, sometimes it’s good to get some some fresh blood in here to give us a different take on how they evaluate conversation with founders and how they direct conversations with the founders. Before we bring on Eric J. I think we should introduce the company that you and Eric are going to be talking with today. Who is that Eric and I are going to be speaking with Ben Mizes, the co founder and CEO of Clever real estate. Clever real estate is a nationwide referral service that helps you sell your home and save on commission. 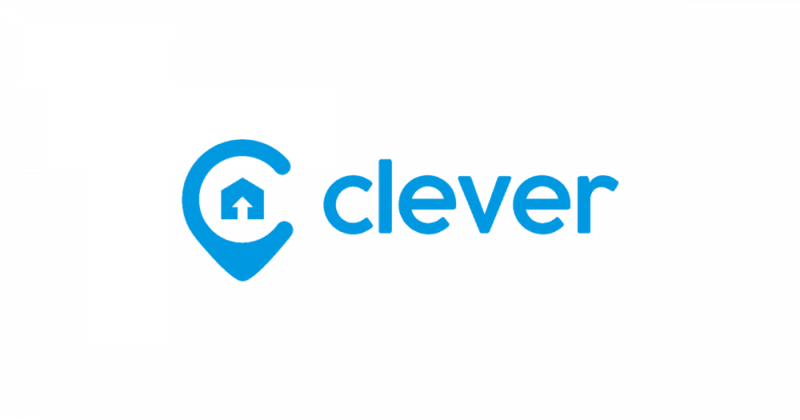 Clever’s network of partner agents includes over 1000 Top Local agents provide clever home sellers and buyers with full service to list and market their home and help with all the paperwork and negotiations to get you through to closing but at a fraction of the usual cost. Clever was founded in 2017. They’re based in St. Louis, Missouri, and have raised $1.5 million in funding to this point from cultivation capital in their spirit of St. Louis fund. So that’s what we’ll be speaking to today. But before we talked to Ben, let’s meet Eric Berg from red one ventures. Eric, welcome to the show. Welcome to taking over, you’re taking over my seat, man. Hey, good to be here. Thanks for having me. And our intro here, I mentioned that you had worked your way into a role in VC and I name dropped your blog, a bird’s eye view. Can you give us a little bit of an intro to the man Eric Berg? Yes, pretty new here in Columbus moved out I went out to school out in Virginia is living in DC working in a private equity firm called the Carlyle Group. My background is in finance. But during college, I had internships at both a medical device startup as well as their VC firm backers. And so over the course of this two summers really fell in love with venture capital, the startup space, and so knew that long term, that’s where I want to be took a job at a private equity firm to kind of get that experience and resume boost. And then really was very intentional about trying to get into venture capital, wherever that took me. And it took me to Columbus, Ohio, where I went for the first time for my interview, I’d never been to Ohio before. And so I joined rebel and ventures, which is a pretty unique firm in the landscape of VC. We call ourselves an investment startup studio, which means that not only do we invest capital, but we also provide Strategic Services to help startups grow kind of the platform model where it can include hiring, connecting them with service providers. And we also have people on staff that serve as strategic advisors with all of our businesses. And so I work on the investment team, where I’m an analyst. And so my role is very heavy on the investment side, I participate in due diligence, portfolio management for our existing portfolio, lead generation and pipeline management looking for new deals. So really excited to be here. And thanks for having me on. in a given week. So it’s interesting, the way our model works is we have kind of this big front end deal flow. So one of my colleagues, their whole job is just to take first calls and first meetings with startups. And so we look at about 1000 deals in a year. And that’s very heavy on them. And then I’ll get pulled into a few calls a month, more kind of area, expertise focused. So I will get pulled into things. But that’s not my primary role. The way it kind of works is we have our whole platform, we can actually start working with it before we’ve invested. So a lot of our deal flow is sort of validated through our platform, having my colleagues work with startups. And then by the time we see a deal, we’ve sometimes already had a relationship with that startup for, you know, months or potentially one or two years. we get into that interview, if you guys have thoughts on this episode, please tweet at us at upside, FM or email us hello@upside.fm as we go through them to hear your thoughts here as Eric with a K. And I talked to Ben Mises, the founder of clever real estate. And now for some validation. Jay, what’s better than coffee in the morning? Is there anything better than coffee in the morning? I don’t know. I just got a new notification that I got a rating and review on upside. And that feels a little bit better than coffee in the morning to me, I picked me right on up. I could take some dopa meet in the morning. Oh, dopamine, is that what you get when Wait, is that a drug? Or is that I believe it’s a human chemical process. Alright, so human chemical processes in the morning, I got a notification this morning that said, Hey, Jay and Eric have a way of revitalizing the classic startup interview style, and making the content fresh and fun to listen to Jay and an ocean of startup podcast upside is in a league of its own, and I would highly recommend you give it a listen. That’s from pile ocean. I think if I’m looking at the same review that it’s probably pilot Ian and not pollution. I think it’s pollution. he’s a he’s a Greek guy. That’s that is intense. It does sound like a very powerful review, which I appreciate and has a lot of weight to it. One that I would attribute to a Greek god. Yeah, I think it feels good in the morning to wake up to a new review. And I think more people should review our podcast. What do you think I agree, if you guys want a chance to have your review, read on air, please go on iTunes and leave us a review for the podcast. And we just may read it here in the morning. Five stars Greek god pollution. Let’s do it. Ben, welcome to the show. Thanks for having me. I’m really excited to be here. Here on upside. We’d like to start with a background on the founder. So can you tell us about the history of Ben. So I got my start in tech, I think it was my sophomore year of college, I was at Indiana University. I’d watched all my friends get internships at the Big Four accounting firms investment banks, and it really didn’t interest me. So I actually went on Reddit and I made a post on our startup saying, you know, I want to work on a start up, I will literally do any thing as long as I can enter in here and learn. An awesome guy by the name of Kevin Davis at the time was the founder of deca to me told me to do a call. It went pretty well. He said, You know if you can start tomorrow, you’ve got the job. So I got started doing business development. I was selling deals to big companies like first ever and when I talked to you was nest curves, Jim Schlag lock Yale, selling our network of 7000 on demand tech support agents. And we were a service that could do door to door tech support anywhere you needed it. And then from there, I really caught the bug, I ended up starting a first mobile app that paid users for every text they sent and received, we raised about $300,000, for that grew to about 50,000 active users. And we’re never quite able to get it over the hump. I ended up taking a job at a different real estate startup after college, I learned a ton at that time, they made me learn real estate investing to help sell their platform. And that’s when I really fell in love with real estate and actually built my own portfolio by bought my first for family resident moved in. So I was living in one renting out the others, then over the next year with a partner who’s our CEO, so actually built up a portfolio of 22 apartments. And then the job I was working, you know, the company folded, fired everyone, you know, I was suddenly you know, sitting in my apartment, I was living for free because I was living off the rent of the tenants and kind of didn’t want to go back didn’t want to do my own thing and got the idea for clever. Here we are about a little over a year and a half later, we’ve grown from a small startup in my apartment to a team of 20 here looking to grow as fast as we can. Wow, that was a fantastic rocket ship through all of that want to back up and touch on a couple of those things. Sure. You posted in a subreddit that you want to work at a startup and someone said, If you start tomorrow, you have the job. Yeah, I kind of thought it would be kind of a summer internship thing. And he was like, you know, I think it was in the winter. And he said, I can’t wait till the summer. I need help. Now. Can you start tomorrow? And it kind of hit me at that time I was in entrepreneurship classes. It wasn’t too difficult. And it was you sounded like a great idea. I said yes. And just jumped on and and really know what I was getting then for but knew it’d be a lot of fun. And that was in business development. Yeah, with a company called geeky to. That’s why were you guys based in the same area where you’re working remotely at first. So I was in Indiana University in Bloomington, Indiana, and he was in San Francisco, so is completely remote arrangement. a lot of the time, I was really fortunate, we had one other team member who came on right about the same time as me, and she had ton more experience had a great background and cold email, she had way bigger network than I did. So I got to kind of learn both from her. And then we got to learn together the best way to do it. So it was awesome having someone to kind of bounce ideas off of building an email list, you know, chatting about the best way to do copy. And then once you cold email your way to a meeting, I had no idea what I was doing, or even how to get someone to agree to use our service. So then we’d bring in the founder and CEO, Kevin would help us you know, her and I would kind of run game film of what we did badly what we did well on the calls, it was just an awesome environment to really learn. And by the end of it, I felt great, you know, approaching a big company figuring out what questions to ask to learn their needs, and then position assets to service that could solve their problems. So where did the idea of this text messaging app that you came up with next? Where did that come from? That seems not totally related. So this one the a pretty funny story. At that time, kind of I was in a fraternity and a lot of my friends knew me, as you know, the guy, he was doing startups, I built a business kind of on the side, I would buy old textbooks and laptops with a friend and flip them on eBay or sometimes fix them. So we did about 100 K, and three or four months in sales. So I was kind of known as the business guy in the house. So one of my friends was pretty drunk at a party, he just missed class. And he said, you know, Ben, I’ve, I really hate waking up, I wish someone could pay me to pay me to wake up. And I was, you know, a little drunk myself. And I thought, you know, that’s that’s a good idea. What if someone could pay you to wake up? And then I woke up the next morning and started thinking like, how is this possible? And I thought, well, what if instead of an alarm, I woke up with, you know, a video ad waking me up. And that’s where we got the idea. And that’s where I first learned about AD tech. And if you know, the CPM on Android, for a video ad is anywhere from one to $4, you’d have to hear 4000 times to wake up to make any even four bucks. So that was not going to be feasible. But that’s where I got the idea, you know, what does the thing that we do enough that we could share the ad revenue with the users and they’d make real money and it wouldn’t take, you know, 4000 days for them to get a payout. And that’s where we arrived at texting. So you did that. And that was also in college. I was at a different real estate startup, I honestly had no interest in real estate, I was just looking for startups in San Francisco and a little bit in St. Louis, where I was from, and just happened defined this company that had had raised around and they were in real estate and thought, you know, I’ve always kind of been interested in this, but mostly was just interested in working for a startup. And they had kind of a residential model that wasn’t going that well. So they put me really, by the end on growing their platform for investors to buy and sell single family homes. And they told me to do this, you have to learn about real estate investing. And that’s where things really took off, I caught the bug. And at that time, I was running the numbers and then looking on Zillow, and St. Louis, it hit me that this is something I could do. And after listening to all these podcasts, I realized, you know, I can do startups and I can invest in real estate, and real estate’s going to let me be financially free and retire. This is like, I know what I put in and I get out and that lets me, you know, go big and gamble on startups were 90% fail. And if I’m in the 90%, it’s kind of like, Well, you know, I still got this real estate and I can then go try again. is this still a thing like it, I go and do this or as this is this an opportunity that gets taken out of the market, but people like you doing it. So this is most definitely still a thing. Depending on where you are in Ohio, I’m 99% positive, it is a thing you can do. So the biggest thing people don’t get and they makes them feel like they can’t do it is that it seems expensive to buy a building for $220,000 but there’s something called an FHA loan where you can buy a property for just three and a half percent down. So I only paid $8,000 to buy this $220,000 building and I negotiated a $5,000 Check back from the seller to pay for all the repairs. So I was in it you know less than two months salary that I just saved up. And then from there I never put in another dime. I always hear on the house hacking front that people go for like a duplex. I haven’t heard the for family home. What to me that makes more sense to do the for family home because you’re getting more income renting out three units. Why do you think I’ve heard duplexes more than four family homes is just too supply? talk to me through the first like several months, even up through the first year of being a landlord, what did you experience? What was something that you didn’t expect? Sounds like you, you’re glad that you did it. And I would love for you to make that accessible to me as somebody who is one of those people who thinks I don’t want to be a landlord. is marketing to get tenants difficult? I think pricing your units. And figuring out your comps is difficult, you know, if you want to get a feel for you know that kitchens and bathrooms really sell units, and most people want to move or we are kind of in the summer and the spring. And then you can get a feel for it, you know, putting your property on Zillow, Trulia, and all the big sites will mostly take care of itself. But if you don’t price your unit correctly, it will sit vacant. And if you buy on a buy a building thinking you can raise the rents and it turns out, you can, you know, a lot of it is very figuring out, you know, if you kick someone out, cuz you think you can get around $50 higher, and then you have to spend $1,000, to turn it over, and it takes two months to get a new tenant, you know, maybe you raise the rents, but in reality, you just lost $2,000. So there’s a lot of that kind of figuring out, when do you even want to raise the rents and you know, if you want to run it a little bit less than it’s worth to fill up fast and get a good tenant, I think that’s more of the difficulty than actually getting people interested. at Golden Key, they built something where you could pay an agent for an individual service, they kind of put the thought in my mind that, you know, there’s probably a market for people who don’t want to pay commission, they came at it from a way you could buy an open house, you could buy a showing, you know, after they let everyone go, I thought, you know, you don’t want to pay full price. I also know you don’t want pay individual agents for one off services, you know, is there a way you can just get agents to work for less to still provide great service. And then I looked at the market, and there were other companies doing referrals, where they would refer you to an agent and then refer full price one. So it kind of all combined to kind of get the idea for Clever. You know, I’m sure we’ll dig more into the specifics. But now that we’re talking about the agents, what is the difference for a home buyer or seller between having, you know, the best possible agent in town, and having kind of a middle of the road average agent, is there a big difference in their experience into price they get? so it it totally depends, you know, on if your judgment of the best agent in town is there the agent that by themselves the most that just might be the face on the team, and then they actually farm you out to you know, their team of buying and listing agents. So it can be a really kind of vague experience, you don’t entirely know what you’re going to get. And we definitely have found that there’s kind of a three different kinds of agents, there’s the mom and pop agents, which gives you the stat where the average agent makes about $30,000, and just sells a couple homes. And we found we definitely we don’t try and refer we don’t want to or won’t refer the spiders intelligence, we come in to those kind of agents, then you’ve got the agents that are in, you know, the top two to 5%, that are really hungry. They’re awesome agents, they provide great experience, and they’re looking to grow their business. And then you’ve kind of got what’s historically called the top agent in the market. And they’re the ones that are doing, you know, the lion’s share of the business, they’ve got 10 or 20 people working for them. And they’re great agents to but at the same time, you’re out always working with them, you’re working with the people on their team and their, you know, the way they have it set up. And we found no difference in terms of working with that two to 5%, or the top agent, as long as everyone’s motivated to do a great job. Yeah, help break this down for me a little bit more, since it is so new to me. You know, I see on your website that you guys work with your partner with the top local agents. So help walk me through very practical, how clever works and how you describe it to people today. Sure. So what clever actually does is if a seller comes onto the site, they want to list their home, or on the listing side, it’s a flat fee of 3000 or 1%, if the home is more than 350,000. So we save the money on the thing that our agents can control, which is their listing commission. And then obviously, we still recommend you offer commission to the buyer’s agent. So other agents are still incentivized to bring their clients. And then what we do when someone comes in and says they want to meet an agent, we’ve got about 3000 agents now on our network who’ve agreed to do this that kind of meet our quality terms. And then if we don’t, we’ll reach out and kind of build relationships with, you know, what our system will say are the best agents in the area will call them convinced them to work with us, and then provide that great experience. Or if it’s, you know, one of the almost every other area where we have an agent, you know, we’ll see in our system who’s the closest who’s got, you know, the best ratings, who’s got the most sales, and then we’ll match them to someone who we think is going to do a great job for their property. You mentioned quality of agents, is that something that you guys have developed a metric on and you track within your company? Or are there resources out there where you can say, you know, this person is a nine out of 10 agent for the price, they get a 10 out of 10 agent for the communication? They you know, where do you get that quality measurement? It’s a little bit of both, I think it’s cool. I had some background in this, and I geek it to we had 7000 tech support agents on demand. And it was the same kind of when someone would request a service, you had to figure out, you know, what are the metrics that actually determine success? And just like this, and real estate, you’ve got, how many transactions have the agents done? Do they live close to the the buyer or the seller? What are the ratings we’ve gotten from, you know, when we send the business, how long did they take to respond. And then we have something internally that takes all of that and kind of spits out, here’s who we think is the best reach out to them, let’s make sure this can work. You know, we’re kind of building the tools to big push internally to how do we always get the best agents to provide a great experience. So in any transaction, so like, we have two agents and agent representing the seller agent representing the buyer. And so what you’re doing with clever, is helping alleviate the pain point for somebody selling a home, it sounds like it works on both sides. But talk to me about who your primary customer is and what the pain point you’re selling for them is. So it started out, you know, we would just work with sellers. And we would say, you know, you definitely want to offer something to the buyer’s agent. So they’re still motivated to bring their clients. But the thing we can control is it just doesn’t cost as much to actually market and sell a home as it used to, you know, you’re not, you know, let MLS used to be a book. Now it’s a website and then syndicates everywhere. So if you do a great job taking photos, price it right, you know, a lot of the marketing gets taken care of, I think it’s 90% of people find their home online, so it just cost less than it used to. So we can help them by providing a great agent who are sending enough business to be willing to take a little bit of a pay cut, that they’re a full time professional agent. So we can save them there while still providing the proper incentives to bring a buyer. I see. So this sounds a little bit like arbitrage like you’re basically saying we understand that it’s easier to sell than it used to be. We are aggregating enough demand on our platform to work with the top agents. But at the end of the day home seller, you’re going to pay less you’re going to work with the best agent possible. Yeah, I mean, is that is that the Am I understand the value prop correctly? Yeah, I wouldn’t necessarily use the word arbitrage. Like I’d say honestly, that could be a you know, a fairly accurate description of it. The way we also kind of pitch it to the agent says, you know, if you drive on the highway, you’ll see Coldwell Banker, all these agents who are paying thousands and thousands of dollars to market themselves. And every time you went to listing, you win a piece of marketing real estate, you get to put your sign in the yard. So when we partner with great agents, we definitely view it like there are partners, we are living and dying by the agents we have, where we’re sending them tons of business, they’re not paying for that we just charge a referral fee on the end. And we’re growing their brand growing their presence and alleviating a lot of the cost of having to buy signs on the highway when we provide them with that marketing. So it’s definitely a we kind of view it as more of a partnership, although arbitrage could be accurate as well. being honest, there’s definitely a lot of blood, sweat and tears that went into getting to that point when you know how can you tell an agent, you’re going to send them a lot of business when you don’t have any a lot of business, even on the scale of a whole country. And then you’re trying to get sellers and you have no agents. And it’s definitely something we struggled with internally. And it was one of the hardest initiatives was figuring out how do we grow the business on both sides at the same time? And I definitely think it’s, you know, a little bit of the secret sauce that we’ve now figured out how to drive demand generation on both sides of the planet form really well. What can you share about how you do that? Is it through it? Was there like automation, where you’re scraping something like what? How did you build that demand on both sides. So on the seller side, we’ve done a great job where I often describe clever as a digital marketing company that’s masquerading as a brokerage, because we need to do that to be a compliant business. But when I talked about how I view the business, we are a marketing company. And we’re really, really good at that. We’re a bunch of digital natives who figured out, you know, how to drive demand by, you know, some traditional marketing, but a ton of performance, your PPC, Facebook, all of those things, and then we’re really double down on content and SEO. So we’re doing a great job with that. And that’s really help on both sides. Now that on any given day, you know, we’re getting agents and sellers just in bounding us, you know, automatically go, we’ve done a good job of positioning ourselves. Did you start in some specific geographical markets? And what were those? We started out in St. Louis, because that’s where we were. But very quickly, we realized, you know, we could expand this nationally, if we kind of build something internally that helped us do it. A lot of it was we had no tools, and it was a lot of hard work a lot of picking up the phone and making it happen. Is there anything unique as you, you know, started in St. Louis and expanded to, both regionally and nationally? Are how unique are those? Are? It’s each specific market? Are there different key indicators? Or is one market good for one thing and one good for something else? Are they all kind of similar? They’re fairly similar, we definitely look at, you know, on the map, where the other big real estate tech companies that are doing some kind of discounted commission, and sometimes we’ll see it’s more expensive to win listings there. Sometimes we’ll see less, but on the whole real estate, it’s real estate, but at the same time, it’s an incredibly local thing. You know, there’s no right you’re not allowed to price fix Commission’s but we’ll hear across the country agents will still say what a standard buyers commission is, there must be different perceptions of real estate, they will be, you know, if you take a market like Seattle, but up until recently hadn’t seen a price drop in eight years, people have a different view on real estate than in a market like St. Louis, where the prices haven’t gone up. So you know, it’s very different when almost everyone who’s selling is selling into a profit. And then when you start working with people who sometimes might be selling into a loss, kind of their motives and incentives, and how people are positioning themselves drastically change to meet kind of the needs of the people they’re serving. so traditionally, it was around 6%, you know, it’s never been exactly 6%, some agents would go over some agents would go less. That was kind of, you know, if you ask the average person, a lot of them would tell you it costs 6% to sell a home. And up until recently, a lot of brokers would actually tell their agents, you know, the minimum at this brokerage that we charge is 5%, or the minimum 6%. And we’ve seen so much competition with Keller, Williams XP, you know, a lot of these tech enabled brokerages who are now coming in, and they’re being very agent centric, and they’re getting rid of that kind of you know, and other times in the industry brokers would actually require maybe 30% of the commission and agent earned, they would take us a cut. And we’re seeing a lot less of that, like Keller Williams and most of their markets, if you hit a certain amount of commission, you pay the brokerage, they call it being capped out, you get to keep all of your commission. So it’s allowed agents to be a lot more free in what they charge and really run their own business. And when suddenly there’s you know, millions of agents and a lot of them are now free to run their businesses they see fit a model that didn’t used to be very compelling because they’d have to pay so many other fees. Now, it’s suddenly, you know, will send you five to 10 listings a month, you’ll keep most of that because you’re capped out, and you’ll use that to grow your business and it suddenly becomes a compelling value proposition. So usually Hornung is the math person, I’m not great at math. But if I’m if I’m calculating this correctly, a 6%, commission $350,000. Home is $21,000. And you’re saying you pay $3,000 here, or even if you look at the 1% versus 6%, that’s obviously a sixth of the price before you guys are delivering enough demand to these top agents that they’re willing to take a sixth of what they would normally be charging. So the way it would break down, traditionally, you would pay some amount to the listing agent and some amount to the buyer’s agent. For simplicity, let’s say it’s 3%, to the listing agent and 3% of the buyer’s agent. So if you’ve got a $300,000 house, that’s traditionally $9,000 aside, and we come in and say, you know, we think we can deliver the same value for $3,000 to your agent, and then that 3% to the other agent. So instead of paying 9000 a year agent, you pay 3000, and then you’re saving 6000. So it’s a really substantial amount of money. And we also feel if you think about an agent on the other, you know, the listing agent, if they’re doing five of those a month, you know, they get 2000 of the three, they’re walking away with $10,000 for the month, which is an awesome salary for some really meaningful work of helping all these people. So it’s, we feel to be a really when when where the seller walks away happy and the agent also walks away feeling like, you know, I’ve made a good amount, I’m getting business and I’m making, you know, some serious income as well. Do you have any touch points with the process more than just kind of connecting the dots? Do you actually make agents? Are they able to sell more homes? Do you increase their capacity? Or do you have any touch points on the process that kind of reduces the friction? Yeah, we do everything we can to make sure the process goes smoothly. An interesting insight we found is one of the biggest barriers to agent selling homes isn’t really the time that it takes to sell the homes, it’s actually the time that it takes to get the sellers and the buyers to agree to let you work with them. Some top listing agents will carry 40 to 80 listings at a time. And that’s because listening at home, it’s all about the presentation and the pricing. But you know, if the home is vacant, it’s put on a fancy the Bluetooth lockbox these days, usually it’s called Super where the buyers agents can actually take their clients unlock the home with their phone, show the home, lock it up for you and then send the feedback. So the agent, you know, you can carry a lot of listings, and the hardest part is actually getting the listings. So talk to me about you know, anecdotally, what type of feedback Are you getting from agents on both sides of the process right now? I mean, positive enough that they’re using it, but what types of things are they actually saying to you about working with clever? so a lot of our agents absolutely love working with us. And part of it because we’re selecting for agents that love working with us. We don’t want to work with an agent who will tell us Hillel, I’m doing this clever thing. But I’m actually going to focus on my other business, we look for agents who kind of view it the same way I described it as like an opportunity to grow their business and provide great service and build, build those meaningful relationships to get clients for life. And then on the other side, because the home is listed on the MLS, they’re offering the same commission to the other agent, they have no idea that you’ve listed with clever until closing day when you check out the settlement statement. And psycho, they didn’t pay very much and listening commission. So there’s, you know, one of the things I really liked that we avoid, if you look at companies like Trello, or out in Denver, there’s all this drama of agents ripping their yard signs off or saying I don’t want to show discount listings, even though they’re not supposed to. There’s tons of reports that it happens. And there’s just like, industry is geared against it. With us. There’s no idea that your listing with a discount company until closing day when the money is getting wired. And you pull out the settlement statement, which is definitely something that’s cool to offer to our sellers. Does this help? I mean, you say you work with top agents, have you been able to help agents who weren’t before a top agent get into that bracket by the amount that they were selling? We have, but there’s definitely some caveats there. You know, if you came to me and said, I’m a brand new agent, can I get referrals? We would say no, you know, we’re looking for, you know, five years of full time experience and minimum number of transactions. And we’re starting to build that out more and more into our site in our messaging. So we like to think if you’re a good agent, that’s proven, you provide awesome services, and your biggest barrier to entry is getting business, we’re a good fit for you. But if you’re a new agent with no experience, we’re probably not a good fit. We’re trying to provide that, you know, we want to provide an agent who knows what they’re doing and going to provide an awesome service and trying to screen for that. Talk to me a little bit about the real estate market across the country, you know, how big is this market that clever is attacking? How big could this be? If everything continues to go really well, it’s truly massive. I don’t know this just take off hand. But it’s billions and billions of dollars of gross commission income every year. And that’s kind of the tip of the iceberg. Because if you think about the real estate transaction, it’s not just agents getting commission, it’s lenders getting commission, you know, selling mortgages, there’s insurance, there’s title, so we kind of believe those who control the top of the funnel have the potential to, you know, control a lot of the different steps of the process. And you’re definitely seeing that consolidation in the industry. And at the same time. One thing that’s cool about real estate is it’s not one of those markets. That’s a zero sum or winner take all you know, you’ve had Redfin been around 10 years, Keller Williams, the XP Coldwell Banker, just tons and tons of brands that are in their own right, the hammock billion dollar brands. And it’s an industry that’s so big, all of these companies can survive, you know, you have open door who’s now buying up homes, they’re worth over a billion. And it’s a cool space, that it’s it is a red ocean, and there’s blood in the water. But there’s also it’s a really big ocean, so you can kind of carve out your niche. Speaking of kind of competition, what has your competition for people that are doing, you know, similar things to you look like? You’ve talked about other discount providers, but have you seen a lot of people entering your space doing what you guys do or what what’s the competition been like? competition is fierce, especially the paid marketing, there’s tons and tons of companies who are coming at it, you know, your local mom and pop agents are advertising. You know, you’ve got big tech companies who are advertising their services, like home light, just as traditional referrals, but they still compete with us. Because at the end of today, there still are a finite number of people who are going to buy and sell a home in a year. So every brokerage is fighting for those customers. But we believe we’ve really differentiated ourselves because of our, you know, the way we’re both operating nationally, and also offering something unique, we’ve been able to differentiate ourselves. But yeah, it’s definitely a very competitive market and why I think at its core, it’s good that our team is really, really strong in digital marketing, because it’s a space, how we’re, that’s where we’re entering to grow our business, when a lot of the other companies are taking more of a TV and radio approach. Good digital marketers are some of the hardest people to find that I get asked for all the time. So talk to me more about your team, how big is your team? And what’s that breakdown look like? We’re about split down the middle. Now between, we’ve got an awesome sales team, then we have a marketing team and an engineering team. And I definitely agree, you know, in terms of importance, it goes people products and profit. And there’s a reason people are number one, you know, we’ve gone through great lengths to figure out how to do recruiting and how to work our network, get, you know, the best people, I think we’re blessed, you know, my co founder, and clever, and in real estate, he went to Stanford. So when it comes time to get awesome engineers, that’s, you know, Luke, who can you call that can move. So we’ve pulled just an awesome head of engineering, he’s worked at billion dollar companies. And if it comes down to it has a background in machine learning to help run our engineering. And then, you know, I went to business school learned a lot of that in between the two of us, we had a marketing background, and had some agency experience. So we knew kind of had a network of Who are these just awesome people who’ve proven they can do you know, the various things we need? And how do we get them to join our baby? So it’s been a really fortunate. So how many people do you have total? We’re at about 20. And looking to keep growing. And how does that break down between sales, marketing and engineering? So 10 on sales, and then about five and five. How has it been attracting talent to St. Louis? It’s definitely interesting. So we’ve found the sales talent is awesome. Here, we have a kick sales team that’s been trained, you know, and there teaching us things every day, we’ve had huge success, getting incredible marketing talent. And on the engineering front, there’s a lot of engineers here. But knowing that Luke came from Stanford, and he knows what the best of the best looks like, isn’t something we wanted to settle for, for average, we wanted to make sure that we just had incredible talent here. And one of the cool things we did was made sure we could kind of negotiate a really awesome office, we’re in the Del Mar loop, which is a really hot area in St. Louis. So we could bring in this talent from, you know, other states and say, you know, look where you could work. This is like St. Louis has an awesome town, the cost of living is low. And we’re giving them that pitch of here’s why you want to move to the Midwest, it’s not what you thought it was. It’s an incredible place to live and work. And we’ve been able to pull some incredible talent to come move here. Talk to me a little bit about macro economic trends, you know, we had a big downturn in 2008. Seems like the housing market has just gotten hotter and hotter and hotter, kind of since then, since that hit bottom. What does the outlook in your perspective, look macro economically? And how would or wouldn’t that affect clever? Yeah, that is a million dollar question of where things are going, I definitely feel You were right on the money, it’s been going up and up and up, and it probably isn’t going to keep doing that my gut is that it’s going to level off. And then depending on what happens with the fed on the interest rates, it might go a little bit down, but I don’t think we’ll see kind of a 2007 level crash. But it will be interesting, because if it stays like that for a couple of years, you know, we’ve been in a market where everyone who is selling was selling into a profit. And now I think we’re going to see some people who are, you know, looking at their homes and thinking, Oh, man, if I pay closing costs, and 6%, I’m underwater, and then I’m bringing money to close and money for a down payment. And they might be way more price conscious and looking for, you know, an agent to save. Or it might go the other way. And I think I need to pay more. Because if they might feel they get the better price. we’re betting that it’s going to be the ladder and they think it’s going to be being price conscious and saving on commissions will be you know, and even more even bigger trend. But it’s yeah, it’s definitely an interesting thing to think about. Do you have any, like worry in that direction? Or is there a real threat? Do you see are you guys in a position where macroeconomic trends don’t necessarily affect you? So I think if there was another 2007 level crash and homes didn’t sell, I mean, we would hurt, we definitely feel it if all the homes we have on the market or partner agents have on the market, you know, just like every other, you know, anyone in the space would feel it. I think open door would be like the most and say the one they’re the ones who own the homes. Now, we would just think, Oh, well, now we gotta restart and build up our backlogs of listings, this time being priced at the new correction. But I definitely also feel strongly we’ve built a business that can survive and any market. And it’s just being diligent to make sure we’re you know, always making sure we still feel that way. obvious question I forgot to ask somehow. You told us the model for the agents. What is clevers revenue model? And that’s a great question. So we are as a license brokerage, we take a referral fee. So it’s $1,000 on a flat fee listing or 25% of the 1%. So our margins are pretty small. And we we win by volume and being able to drive this process upscale. multiple times you brought up how important the team is, to your success? What the next big hire, what’s the next big, you know, thing that you’re looking for to round out the team? Or are you really just trying to build up your ability to scale? You know, it’s when you start a company, right, and you have a couple people, suddenly, everyone’s a generalist, and it’s really important to have those people here, you can throw it a problem, they have no experience in the problem, but you know, that person is going to go figure it out. And then suddenly, as you grow, you start getting more an engineering team and marketing team. And it’s not the same person on engineering is doing all your marketing, because that’s all you have. So then starting to think, you know, who do we need to hire for the next stage of the company, as we get bigger that has big company experience that has experienced managing, you know, what books can I read to prepare myself for that next level? And thinking, you know, what are the key roles we need, you know, to round out an engineering team, like we just made, you know, we’ve split up the front end and back end instead of just engineering. And it’s kind of getting ready to scale the company and thinking more about who are the rock stars we want in functional roles. Instead of, you know, when you first started, who’s the generalist I can hire to take over a whole area of the business? Because that’s all we can afford? And how kind of building off of that you mentioned reading books, but how have you tried to scale up yourself as you gone through the stage of having a few people in a garage or wherever you guys started to having 20 employees to what is next for you guys? How do you scale up? When you start a company, I’m the one on the ground on the sales team. And I think a lot of it is, you know, one keeping an open mind and knowing that we don’t have all the experience, we need to be actively looking to our board, our mentors and our advisors. And then the second thing is, you know, a lot of our core team are prolific readers. I know if I go to the gym, I’m listening to an audiobook when it comes time to cardio on the bike. I’m reading a Kindle book, and we’re trying to do two books at a time all the time. And it’s a good way to thank you know, what’s the mix between, you know, management, marketing, sales and trying to learn and read all the best processes at the same time and implement them. So it’s a challenge, but it’s also a conscious effort of what skills do I know that I’m lacking? Because I’ve never ran a company of 20? And what books can I read who can educate me to get ready for it? Is your biggest cost driver headcount or marketing spend with all the digital marketing you guys have to do? It used to be digital marketing, it’s coming to be headcount, and it will potentially swing back to marketing It fluctuates. how do you personally manage your time of growing this company versus having an active real estate portfolio? Do you still spend a lot of time on the actual real estate side? I spend almost zero time on the real estate side, at this point, we hired a property manager put a lot of systems in place, and really, for better, for worse, start trusting them to take care of our portfolio. And we were fortunate that we bought right. So a lot of things can go wrong and will still break even there. And it was kind of a conscious decision where we, you know, we entered 2018 thinking, we’ve proven this out, let’s buy 20 more units get even bigger, and very quickly, it realized that, you know, clever is the bigger opportunity, we’ve raised real money and made real commitment to our investors. And whereas our real estate portfolio is just chugging along stable he so that’s kind of it’s on the back burner, unless you brought me a deal that was so good. I could buy it. And under three hours of work, I’d sadly turn it down as much as it pains me not to do that, because I absolutely love it. It’s a ton of fun. But it’s firmly on the back burner. You talked about your investment. Your recently raised round, could you talk a little bit about how you went about fundraising. And you know, where you found your current stable of investors? Talk to me about St. Louis as a place to start and run this company. Now, you know, is there anything specific to St. Louis, that makes it the best place for clever or a real estate play in general? That covers just about all my questions, Berg, you got anything else? you pretty much covered it, I mean, sounds like that point. It’s an interesting space, right huge market, you definitely have found a way to a kind of niche where you can manage it both sides, which you said was challenging, and which I wouldn’t be surprised by, I guess, one thing you haven’t touched on, which I’m just kind of a geek about, and would love to learn more is kind of your board. And you mentioned that they were a big help for you. But would love to hear about what you think about the role of a board, how you manage your relationship with the board, and just kind of where that sits in your thought process. Because I know for something that I’ve seen, and I’ve been working professionally in venture for, like eight months now Miss managing your board. And having that relationship turned bad is one of the least fun things that you can do both as a founder and as an investor. So would love to kind of hear what insights you’ve learned from that experience of working with your board. It was something they they kind of prepared us for at the accelerator. But the biggest thing for me when we pitch to is a, you know, one of the managing partners of cultivation capital, he was thinking about a personal investment, you know, we were thinking about the board, it was actually something we offered, you know, we didn’t even bring up is like, if you do this, we’d like for you to be on the board. Because it’s you know, we’re acutely aware where young guys, we’re growing, and we need all the experience we can get. And if you have the opportunity to get someone on your board who sold their company for a very large egg that I don’t want to say the actual number, I don’t know if it’s public, but you know, they’ve had an incredible exit, you know, our board and the Board of servers, two of them that came on, they are just rock solid. They’ve seen it all done it all and give great advice. And it’s, you know, when we have a tough situation, we’re shooting them a text, we’re getting on a call, again, if it’s not a scheduled board meeting, you know, we’re bringing them in to get advice. And that’s exactly what we wanted of like, who are the most experienced people that we want to have a big interest in our business, and we actively look to pull them into the board, trying to get the people who could help us because they’ve seen it before. Yeah, no, I love that. I mean, I think one of the quickest ways you can shoot yourself in the foot is by not having kind of concern system, and proactive communication with your board. So taking that you know, on yourself, and I’m sure you’ll agree with me, it’s way better to tell your board about a 10 cent problem early before it becomes a $10 problem later, and greed can’t do anything to help out. And we did it one time, you know, we didn’t bring it up. And then after the problem got big we brought came to him and they immediately had the solution. It was like man, if I had just brought this up, when I started, we would have put in the same solution and we would have saved ourselves so much headache. And that was kind of the eye opening moment. Now. It’s like when in doubt, you know, let’s tell patent bill and let’s let’s get some advice here. It’s definitely a really awesome relationship. It’s great. Awesome. Well, thanks so much for coming on the show Ben after the show. If people want to learn more about you or clever, where should they go. So if you want to go and learn more about clever or list with clever.com. And if you want to learn more about me personally, I ride on a on medium, it’s medium calm, I think slash at Ben MiZes. And it’s mostly I write about really estate investing. So if you’re interested in house hacking or building a portfolio, I’ve definitely kind of documented the journey from a house hack to a lot of apartments. And then sadly, a lot of the mistakes we’ve made. And you know, I definitely encourage you to read that and avoid a lot of the headaches and problems we’ve had. Well, Jay, that was awesome. It was great listening in. But before we get to the deal memo, I think we could use a little more. Yeah, it struck me that I have a close friend who would be an awesome addition to this episode. His name is Chris right now or he’s currently the CTO at plan analytics, a company based in Cincinnati, Ohio, but previous to play analytics. He was a co founder of Casamatic, an artificial intelligence company for real estate agents in home buyers, the company had a lot of momentum behind them. And I know Chris learned a lot about the real estate technology space. And so I wanted to pull on his experience and wisdom here before we get into our deal memo. So please enjoy this short interview with Chris Ridenour. Chris, welcome to the show. For the listeners, can you explain what Casamatic was? So Casamatic was two things in its history of first was a consumer website that would ask you questions up front, like not only, you know, what’s your price range? And how many bedrooms are you looking for? But also, you know, what is your ideal commute to work? What kind of, you know, activities and lifestyle? Do you want to be around? What kind of schools are you looking for, and then we would actually take everything on the market and score it. And so they weren’t hard filters. So if we found the perfect house for you at actually had one less bedroom, we would show it to you because we think you can compromise. And that’s honestly what a good agent would do anyways. And so we would create all these scores and show you the best homes in your area, regardless of the neighborhood they were in. So we kind of took more of a lifestyle approach to home search leader in its life, it actually pivoted to using that lifestyle search as an agent tool. So we would say to real estate agents, their ability to use Casamatic for all of their clients, invite them and let them search together, you know, invite both the husband and wife and see how their parameters differ kind of take some of those early interactions about like, what are you looking for what’s important to you and kind of move them into a digital space. So it seems that I would assume that the first iteration of Casa Matic was kind of a post agent world you’re trying to create? And then it seems like you pivoted to working with a Is that fair to say? per lead. But even then, that’s like the economies of scale, just one on our side. Okay, so in our interview with Ben from clever, he mentioned that real estate tech is a red ocean, as he called it, it was it’s something with a lot of competition. And they’re competing on keywords and things. So what was your perspective? You mentioned having deep pockets, what was your perspective of the role that technology could and should play in the real estate market, given that it’s such a competitive landscape? those. You talked about, at one point, working with some lower level agents to show the homes. I hadn’t thought about the different tiers of agents that exists in these markets. And other thing Ben shared with us in the interview was they work exclusively with what are identified as the top agents in markets. So how competitive is it to work with a top agent? And how good do you think that makes the experience for the homebuyer or the home seller, relative to a mid tier low tier? Oh, it’s night and day, I would say like somewhere between five and 10% of the agents do 90% of the sales and the city, they I mean, it’s really a difference between your full time agent and your part time agent A lot of times, but even some of those full time agents aren’t necessarily top tier. But like they have the connections, if you’re a buyer, they know of properties going on the market before they’re ever hit the market. So if you’re in a really competitive market, most houses are sold before they hit the MLS, they just need to put them on the MLS or they can get all the you know, approvals and get all the legal stuff out the way. And if even if you’re not, if you’re selling, you want that person who knows a buyer’s or has a, you know, Rolodex of buyers, or even potential buyers, like people who aren’t actively searching, but you put your house up with them, they know someone who was looking for something like your house in your neighborhood. And they get this person that even like think about purchasing at that time, it really is just like it’s a networking thing. And that’s going to be really hard to to replicate, I think in the digital space when it is so people driven in the current world. But it does make a huge difference right now. So I’m going to ask this question just kind of straight out. clevers model is sort of a digital lead generation play. And it’s making the process you know, they’re taking that 6%. And instead of saying 6% of listing will do it for $3,000 kind of a flat fee on the selling side, what’s your immediate reaction to that? Do you have any red flags? immediate reactions are the one positive they have going from his agents are only willing to pay and pay can come in a lot of different ways, including discount for lead generation, that’s all they care about. They won’t pay for tools, they only pay for things that they believed drive them more leads, and actually convert leads better. We found that out pretty quickly. But I like that it is lead generation as positive. I mean it at the end of the day, it’s like they have to the quantity thing. I mean good agents, top agents already have a massive amount of quantity, they have to believe that for whatever reason that lead you’re bringing them or or going to convert faster like they would only give a discount if they believe on a buyer if they’re like very well qualified and know exactly what they want. And they’re only going to give a discount on selling if the house is in a really hot market or the it’s in really great condition or they’re willing to underprice. And so I worry that they could just ignore, you know, they are used to being as a collective willing to ignore things they don’t like and let them go away. And at the end of day, people still need to sell their houses. So I could definitely see their actual top agents be like I’m not willing to drop my price. I have more than enough bandwidth. And then I’m you know, I’m drowning in leads right now. I just need more team members, that’d be my only concern is the top agents don’t necessarily need the help. It’s the mid tier ones. Is there anything else related to real estate technology that I’m not asking that I should be asking? I mean, it really comes down to there are two types of like innovations at play those at play in the base with agents and really the latest ones have been like Zillow allows you to draw on a map 10 years ago, and then they haven’t really innovated sense but they just drive so many ad clicks, it doesn’t matter. I mean, Redfin gives you a, you know, discount, but they just are, at this point, essentially just an another real estate player, they’re just a discount brokerage and less of a tech play. And then there’s the ones who are going to completely outside it. So you have like open door, I believe there Phoenix, there, they’re just buying and selling properties, you know that they by themselves cash offer renovated, allow you to walk through it by yourself, because it’s all digital, like you unlock with your phone, walk through the house, make an offer on your phone, and buy it and you get sent the paperwork over legal, or over email, like it’s, it’s fantastic. Like, that’s going to be the type of play that’s really going to disrupt if they can make it scale, I have no idea they will buy really, it’s like either you’re in the real estate space, and you can create a decent business, but you’re really not going to actually be able to innovate, they basically made sure that or you’re going to have to go completely around it. And you’re just going to get done on all sides by all parties. But I think there’s a huge upside. All right, Eric with a K, we just spoke with Ben Mizes of Clever real estate. I love to hear from your perspective as an analyst, pretending you Well, not even really pretending that you just had a conversation with a founder. Talk walk us through your framework for how you continue to analyze this opportunity. Yeah, so I mean, initial just first blush reaction, it seems interesting, right? It’s a huge market, real anything. And the real estate is almost interesting, just for the fact that it’s in real estate, just because of how big it is. They found an interesting niche, where they are kind of able to take some margin or way in the middle of this process and kind of act as like a cog in the middle, which is interesting and pretty impressive that they’ve been, they’ve had the Well, it sounds like they’ve been pretty successful so far, because I alluded to it, when I asked, I asked him about kind of building up both sides of the marketplace. But that is one of the most underrated parts of the startup tech world is building up two sides of a marketplace. And it’s really hard to do. And the fact that they’ve been able to do it with some pretty good success, it seems like is I think, very positive, my probably biggest worry is their margin, and just how it seems like it’s already razor thin? Well, it I’ll say it’s already then. And the danger with inserting yourself as a cog into the process is just what margin you have just keeps getting smaller and smaller and smaller. And so the challenge for them will be to keep creating that value where they can protect that margin, because I don’t think they’ll be able to really expand it. And so they really have to protect it. And that’ll be hard to do. So that’s kind of my initial kind of jumble of thoughts. The way I like to think about things is, I don’t know, this is I’m other people have come up with this. But thinking about kind of the three, there are four things I really think about. So the first is, you know, how big is the problem that they’re solving, which is huge. So check that box? How painful is the problem for the people experiencing it? Is this a hair on fire problem for them? And I think that’s a solid check. I think the home buying and selling process is generally pretty painful. I’ve never done it, but just talking with other people who have I think it’s pretty painful. I don’t know if I think the cost of it is paint is written is painful. But I think just the overall process, probably what most arduous. So I think no saving, what did he say he did the math for us, but you ended ended up saving, like three grand 25% off listing prices, something like that. Yeah, yeah, it definitely seemed to be like he’s really helping get a good experience for the seller. And yeah, move things along. But you know, it strikes me that we’re in a time when selling probably isn’t as difficult right now, as it has been historically with how hot the market is. Yeah. And I mean, it’s probably any mentioned, it’s cheaper than it’s ever been before, it’s probably a little easier. But I still think from the seller perspective. And maybe I’m just putting myself too much on this. But if someone could say, Okay, I’m going to save you $3,000. And I’m going to make the process super seamless and easy. I think the process being super seamless and easy, is actually more of a draw for me, then the three grand because in the grand scheme of things and have a home sale, that three grand is not a huge amount. But if you can alleviate the pain pane of the process, that’s a big difference to me. So I think it’s I think it’s interesting from that perspective. And the last few things I I always want to look at our the team. I mean, I haven’t met the team. But it sounds like they’ve been able to attract some high quality talent to St. Louis. And I like how they’re thinking about talent attraction, and some of the net work they built. sounds impressive. I really err on the side of I want to see a founder that has some personal kind of skin in the game or had a certain, you know, has personally experienced the problem. And it sounds I mean, well, Ben did have a lot of experience in real estate. It sounds like he was much more of a entrepreneur that saw an opportunity in real estate as opposed to someone that grew up living, sleeping and eating real estate. And so while it’s not a problem, I definitely would kind of err on the side of preferring that a founder that I be working with, really has that deep personal connection to the problem they’re solving. But so he didn’t grow up in Dad was more of an entrepreneur than he was a real estate agent. So we didn’t grow up around it. But I think, whatever, you know, slight misgiving that might be for me. I mean, Ben, super sharp guy really knew his stuff. And some of the questions I asked him about his investment process. And specifically, my final question about how he manages his board was probably one of the best answers I’ve ever received in discussing how someone thinks about their board. I like I mentioned, board mismanagement is something that I a year ago, just being from the outside looking into the space, wouldn’t have realized how big of a problem it is. But being able to consistently and proactively communicate with your board, I think really, is one of the highest leverage things you can do. It’s not super intensive for your time as a founder. But if you can be disciplined about updating your investors and your board and asking for help when you need it, the amount of benefit you can get from that is pretty huge. So to hear him think about his answers around board and how much of an asset you’ve used them. He doesn’t view them as these like cranky old bosses that he has to, you know, send updates to, he really thinks of them as an asset. And he is trying to figure out the best way to leverage them as a founder that I loved. And that was one of the best answers. I’ve heard to that question. So I got me, you know, in terms of the the founder, I was very impressed by Ben, especially given some of his thoughtfulness around his fundraising and his board management. You talked about being a cog in the process and how that could squeeze margins over time. Were there any other red flags or hints at something that might be a red flag in the future that you heard through the interview? I don’t think show I don’t think there was anything that jumped out at me that I was worried about. I thought it was kind of surprising that the founder said where we almost think of ourselves as a digital marketing agency. It was surprising a from the, you know, I haven’t really expected that to kind of be their role. But I guess that could be some sort of worry, in the terms of their competitive differentiation. You know, definitely don’t want to downplay how hard it is to be a good digital marketing agency. But is that a sustainable competitive advantage? I don’t know. And so I think it just be that would if I were to talk to Ben again, I really want to dig in more with their model. And, you know, not only their unit economics, but how their, what their competitive advantages. It sounds like they’re kind of unfair advantage is their marketing acumen, their content creation and their Seo? And while that’s all definitely important, is that strong enough to build a massive business off of that being your kind of sold point of differentiation? I don’t know. So that’s what I’d want to learn more about and ask him questions about if I talked to him again. Awesome. Well, thanks again, Erik, so much for being on the show. If people want to learn more about you or follow your writing or anything else, where would you send them? I’m pretty active on Twitter at A Berg’s Eye View. I tried it. I’m always talking about tech and VC and sharing cool articles. And then I also have a blog, a bird’s eye view calm, where I tried to post pretty much weekly about interesting things I’m thinking about, you know, topics or stories, personal experiences from venture and I started, actually started that blog as kind of a way to get into venture. So it’s kind of catalog to my story of being from the outside looking in. And now that I’m, you know, an analyst at a venture firm, some key learnings. So definitely encourage anyone to check that out. But yeah, always happy to interact on Twitter, always happy to talk with that entrepreneurs or other people trying to get into the venture space and kind of bounce ideas around. All right, Eric, we have a lot of context here between Berg’s breakdown and my interview with Ben and Chris right now our so where do you want to start here? I’m gonna start with the shadow. Is that the shadow music? When I was growing up, my mom used to always tell me, I don’t know, she always told me this. But she just she told me this pretty frequently. So enough that I remember it never compete on price. And throughout this interview, it felt to me that clever was competing on price as their primary pillar. I think that Berg had a really nice point that’s tangential to this, where he said, eventually, that price competition is going to go away. So are you making the process better, or he said something along those lines. And that is my biggest shadow. So I’m just going to start out with that. It’s what I think have the hardest time getting my head around is price as a competitive advantage. Yeah, it’s tough. It’s tough for any business. It’s tough for the freelancers I work with. If you price yourself low, and you’re in a pricing competition, it’s kind of a race to the bottom. So to price yourself low for Ben and clever, surprised themselves Zillow and maintain that position, they’re going to have to do something unique. And his standpoint is that their uniqueness comes from their ability to essentially digitally market and pull in more leads for this top agent, then they can do on their own or any other competitor can do. Right? Price is inversely correlated with quantity. If you want to be successful, you have to have quantity, if you have a low price. There’s this interesting dichotomy to me. And we’re clearly kind of starting on the opportunity side of things here. There’s this interesting, maybe dualities, the better word to put it, where right now you see Zillow, pulling in a new CEO, Zillow is trying to go the route of eliminating agents, they want to say we want to make the process agent lists and be 10 x better by getting rid of that position entirely. And in talking with Chris, his standpoint was when he was doing cosmetic, you either had to be bold, and do that Agent-less vision of the real estate world and go after that, which they kind of started going down but got kind of beat up doing, or you have to work with the agents, then is clearly working with the agents here. So as an investor, you have to think about what version of the world do you see playing out? And if you see it moving towards an agent list world, where does clever play in? Or how big is that window opportunity and can clever hit it and make a meaningful outcome in that window? I think it’s human nature to not change things drastically, especially when they are jobs. I think that the longer something has been around longer, it will be around. And I think it’s the same Nicholas Taleb, who calls that the Lindy effect. Or maybe it’s someone else, I probably just attribute everything to the same Nicholas Taleb because he writes so many books on business. But I think that a agent list world is probably further off than people think if it would have been disrupted by technology by just being a marketplace, it would have been disrupted by now. they also have the benefit of being mandated by regulation. So you have to have an agent walk through a house or a Registered Agent, I guess that could be in some states, maybe it can be a digital entity now. But you still have to have that license to sell on a state by state basis. it seems to me that this is, at worst, a window opportunity, the way that Ben’s attacking it because he’s working with the agents, as Chris kind of alluded to as a must do at this point without being super capitalized and trying to create an entirely new process. And so there is some level of opportunity here. If those agents are saying, Yes, we like work with clever, clever is bringing us more leads than we could do on our own, we’re willing to take the discount like they are putting their money where their mouth is saying they’re going to take a significant discount here to do the work with these homebuyers. Because they’re getting that many leads. So there is some secret sauce there. But I don’t know how defensible it is. It could be at the whim of Google’s algorithm for search, for example, it’s it’s less about tech that is built proprietary Lee, and owned and able to be built on top of into perpetuity. And more about understanding digital marketing to my estimation. I get a lot of hints of Periodic Edibles. In this kind of announce this deal memo that we’re going through right now, regulated space, carved out a niche by doing something amazing and better than all of their competitors, subject to the whims of future regulation, and large money, big players. All of that kind of feels the same. And I’m left with the question of what’s next. I wasn’t in the interview. So I didn’t get to ask that question specifically. But what’s the next product Avenue? Or what’s tangential? What’s the add on here? What’s the what are we going to do once we have all of the market share? I put it in the bigger than huge market bucket, I put it in the when this market crashes. The entire financial system of the United States and the world is put in jeopardy. That’s a really big market. Like there are very few markets larger than real estate, maybe public equities right now. Because we’re at a 10 year Bull Run, I don’t even know. But it is massive. do you just say 25% of a 1%? Eric, what do we what have we learned about me and numbers? You’re fantastic at them. Jay, you. When I when I think about you, I just think Jay, Klaus Pascal, Einstein, all in the same breath. I’m just glad to hear you’re thinking about me. So to move on to Ben, as a founder, the question of Will this founder be successful in this business and in life, Ben’s experiences at this point, as a young guy is awesome. The things that he learned and try it himself when he was talking to me about for family homes, I am now more interested in buying a home than I’ve ever been, because he made it so accessible to me of what I could do. And it sounds like a fun project to work on with my dad. So when I was listening to this interview, I immediately thought about the bigger pockets podcast, and house hacking. I don’t think the term originated on there. But they talk a lot about duplexes and for family homes and kind of just everything that Ben went through. It was almost like I was back in my cube in Chicago, listening to the bigger pockets podcast, which I listened to like all 300 episodes to date or something. little fun fact about me there Jay. Ben, to me, strikes me as the consummate entrepreneur and entrepreneur that I strive to be. And so I have no doubt that Ben is going to be successful in life with his entrepreneurial ventures with clever or without clever, I did not get the sense that clever is going to be his life’s work, where he’s saying, like I, by damned am going to make real estate agents more money and make the home buying process and selling process simpler. He cares about that. Now, a bride cares about it a lot. Now, did I see it as like a, this is my one true calling type Dr. Not necessarily not ruling it out. But I didn’t get that vibe. you’re right. You know, I didn’t I didn’t get any type of shiny object syndrome by any means. He even went so far as to say, I have put aside my own real estate investing portfolio for now to focus on this. So I think that’s a very fair and more valid point there. He seems totally bought into this business right now. So what do you want to see in six to 18 months from now with Clever? this business is predicated on volume there in market, they are generating listings and sales for these agents, I’m looking totally at traction, in terms of number of transactions that they’re facilitating. And also, this is probably what you’re going to say, Eric, how that breaks down by geography? Are they breaking down into different areas of the country and expanding in those areas? effectively? How did you know I was going to say that? Because it’s the better answer. Yeah, that was a compliment in disguise. He talked about this breakdown of the top real estate, and how it breaks down per market and how you know, the top 5% to 90% of the deals or whatever it is and what they’re shooting for. That means there is a set amount of agents in each market in the United States. And if they expand Canada, Mexico, wherever. So geographic expansion, to me, is the most interesting, how are they expanding? What cities are they in? Because once you get into one city, if you have one agent in every city in the United States, it’s gonna be easier to get that second agent, I think. And once you’ve only have a few agents in each city, you have kind of hit your huge transaction numbers that you’re talking about. I’m also keeping an eye on that margin and saying, has this maintained or gotten smaller? It’d be great if it got larger, but if it’s getting smaller, why is it pressure from the agents to say this is too much of a cut that I’m taking? Is it competition? I’m just staying vigilant on that. Because as narrow as those margins are, you just got to keep an eye on it? That’d be killer. That’d be a great time. Alright guys, we’d love to hear your thoughts on this episode. Thanks to Eric Berg and Chris right now are for taking part. This is a big, thick, meaty one. Lots of components. So if you have any thoughts tweeted us at upside, FM or email us hello@upside.fm. And we’ll we’ll talk to you next week. That’s all for this week. Thanks for listening. We’d love to hear your thoughts on today’s guest. So shoot us an email at hello@upside.fm. or find us on Twitter at upside FM. We’ll be back here next week at the same time talking to another founder and our quest to find upside outside of Silicon Valley. If you or someone you know would make a good guest for our show, please email us or find us on Twitter and let us know. And if you love our show, please leave us a review on iTunes. That goes a long way in helping us spread the word and continue to help bring high quality guests to the show. 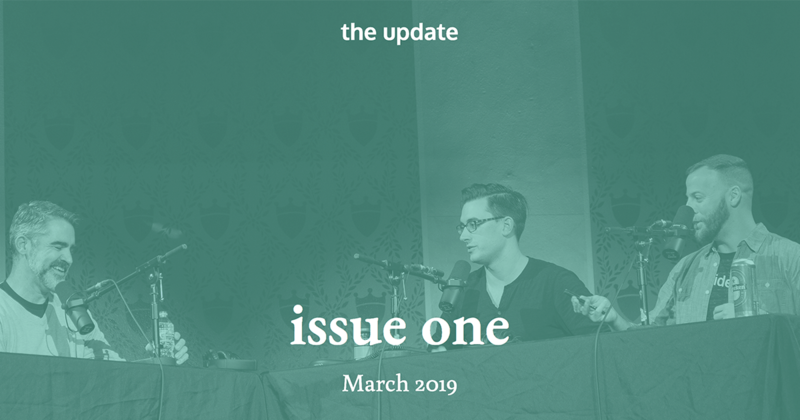 Eric and I decided there are a couple things we wanted to share with you at the end of the podcast. And so here we go. Eric Hornung and Jay Clouse are the founding partners of the upside podcast. At the time of this recording. We do not own equity or other financial interest in the companies which appear on this show. All opinions expressed by podcast participants are solely their own opinions and do not reflect the opinions of death and Phelps LLC and its affiliates Unreal collective LLC and its affiliates, or any entity which employs This podcast is for informational purposes only and should not be relied upon as a basis for investment decisions. We have not considered your specific financial situation nor provided any investment advice on the show. Thanks for listening and we’ll talk to you next week. Ben Mizes is the founder and CEO of Clever Real Estate. Clever Real Estate is a nationwide referral service that helps you sell your home and save on commission. Clever’s network of partner agents includes over 1,000 top local agents, who provide Clever home-sellers (and buyers) with full service to list and market their home — and help with all of the paperwork and negotiations to get you through to closing — but at a fraction of the usual cost: just a flat fee of $3,000 if your home sells for less than $350K, or 1% commission if your home sells for more than $350K. Erik Berg is an Investment Fund Analyst for Rev1 Ventures. Erik helps to source and evaluate high-growth technology companies for potential investment. He regularly conducts due diligence on startups as part of Rev1’s investment process including financial analysis, reference checks, legal document review, and return modeling. Additionally, he helps coordinate the investment closing process by ensuring all key deliverables are executed on and properly documented.